As well as announcing the ability to build and sell paid apps on Facebook with the App Center, the social media business also announced another feature to help developers get more from the platform. 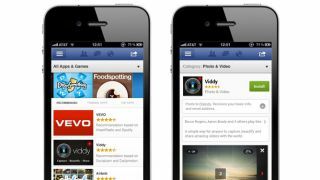 Facebook announced on the Facebook Developer blog it will provide developers with an "app ratings metric" for them to understand how users rate their app over time. The App ratings, will be available from the Insights pages on Facebook and will be on a scale of one to five stars, and will be broken down by age and gender. This will give developers new insight into the feedback their apps receive. Previously, developers could only see their apps' average overall rating and they could not see how the rating varied over time. The ratings will also decide where an app appears in the App Center as the Facebook developer blog warns, "Well-designed apps that people enjoy will be prominently displayed. Apps that receive poor user ratings or don't meet the quality guidelines won't be listed." The App Center is expected to go live in the coming weeks and Facebook recommends "developers should start preparing today to make sure their app is included for the launch."